Lalique will launch Hommage a l'Homme Voyageur, a new flanker to 2012's Hommage à l'Homme fragrance. The scent was "inspired by a luxurious voyage aboard the legendary French ocean liner, the Normandie". The notes for the "woody amber fragrance with fresh notes" include bergamot, cardamom, vetiver, patchouli, papyrus, vanilla, amber and moss. 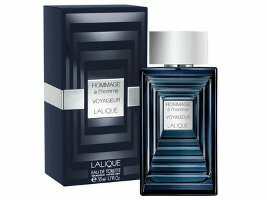 Lalique Hommage a l'Homme Voyageur will be available in 50 ml Eau de Toilette. Look for it in April.